If you are a connoisseur of strange plots, twisted characters and weird, dreamy scenes, you found the right place! 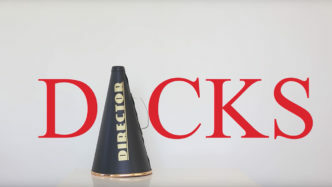 Masterclass.com has just published David Lynch’s take on teaching creativity and film. The master of weirdness shares his secrets and you should listen! What pops in mind when movie titles like Eraserhead, Mulholland Drive, Lost Highway or Twin Peaks are the topic of conversation? Weird, dark, nightmarish, strange. How can one man’s mind come up with all these ideas, images, even sounds? According to David Lynch it’s all about ideas. And not only about having these ideas but to follow them. Screen grab from “Wild At Heart”. Now you can follow along Mr. Lynch as he is teaching his approach towards filmmaking over on Masterclass.com. We’ve reported about similar offerings by Hans Zimmer (film scoring) or Werner Herzog (filmmaking) for example. David Lynch now enters that circle with his own masterclass. David Lynch Teaches Filmmaking When watching the teaser to David Lynch’s Masterclass, it sounds just too easy. According to him, all you need to do when shooting a feature-length film is to get 70 ideas. And you write these scenes on 3×5 cards. Then when you have 70 of them, you’ve got a feature film. Easy, right? Well I grant you, it takes a little more than that. But what the takeaway of just that one little piece of intel might be is the fact that you should follow your ideas and creativity. Do not stop before even starting, you never know where a tiny idea might lead you in the end. Of course, it’s easy to think about why something is not possible because of A, B, and C. What David Lynch does is to not to think about what is or ain’t possible but which idea might come next. Keep on dreaming! 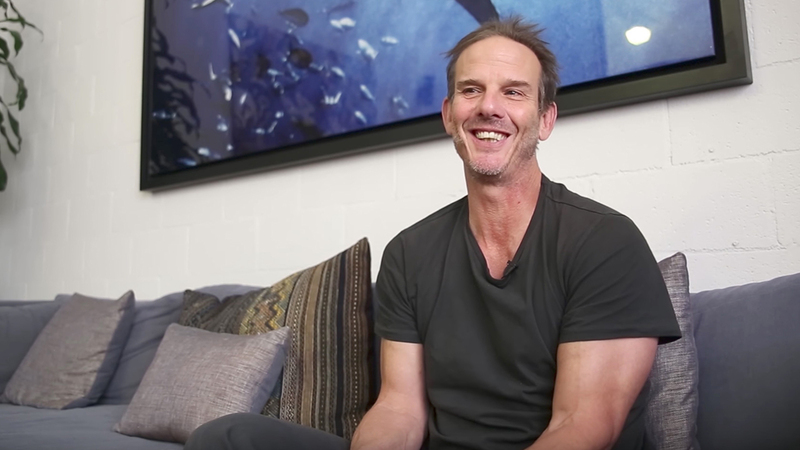 The course consists of 13 parts, ranging from finding ideas and inspiration to working with crew and how to build unique worlds with the help of production design. How to score a movie, how to break the rule (that’s an important one! ), it’s all in the course. Masterclass.com – Concept & Pricing The concept of Masterclass.com is to buy a subscription for $200/year for which you’ll get unlimited access to all masterclasses available. These classes range from writing, cooking, sports, music producing to filmmaking. Relevant for our audience are classes by Aaron Sorkin (screenwriting), Martin Scorsese (filmmaking), Spike Lee (independent filmmaking), Ken Burns (documentary filmmaking) and many more. 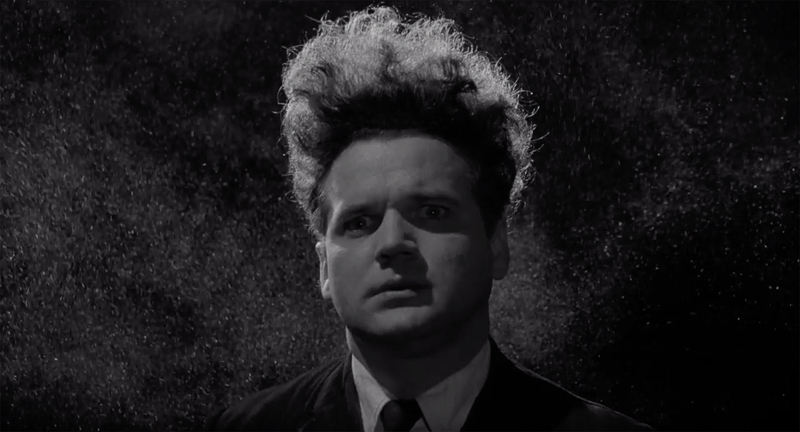 Screen grab from “Eraserhead”. While $180(200€)/year might not break the bank and you’ll get a lot of valuable content for the money, I’m not the greatest fan of subscriptions simply because these subs add up and – just like with insurances – you really need to keep track of your expenses. That said, you also can purchase single courses for $90 (100€). links: Masterclass.com What do you think? 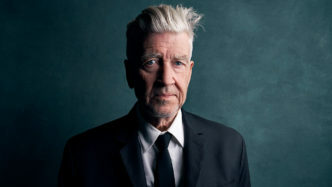 Might David Lynch be your next teacher when it comes to creativity and filmmaking? Share your thoughts in the comments below! 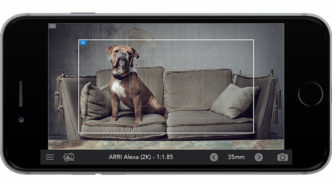 The new video-shooting feature in the Cadrage Director’s Viewfinder app makes it easier than ever to plan your shot. 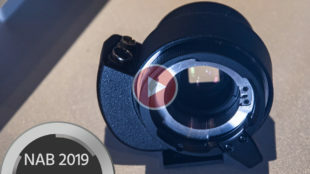 Cadrage is an app that allows you to visualise the field of view you would get with the sensor sizes of various popular cameras in combination with different focal lengths (you can see our original article about it HERE). This is the kind of app that every filmmaker should have on their phone as it lets you quickly visualise your shots during location scouts, or before even taking your camera out of its bag on shooting day. The latest update to the Cadrage app brings with it the much-requested feature of video recording. 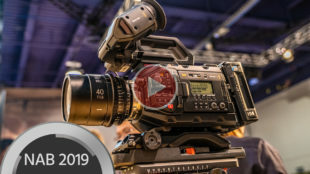 The ability to record the various camera and focal length combinations as video is a significant step up from simply snapping stills for later viewing, as it allows you to preview shots that incorporate camera movement. According to Cadrage, this is a key feature that truly sets it apart from other similar apps in the market. Other than the video feature, the app offers a number of other tools, such as high-quality stills capture, PDF list generator with shot information and Google maps location of the shot, and dual-camera support for the latest generation of iPhones, including for the upcoming iPhone X. You can get Cadrage from the Apple App Store HERE for $14.99. For more information, visit www.cadrage.at. 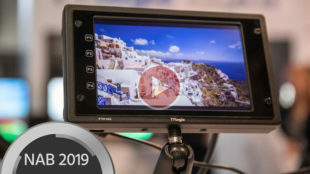 Do you use viewfinder apps during your productions? Let us know in the comments below! 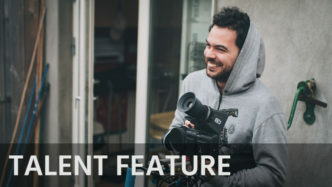 As part of our aim to strengthen the connection between us and our readers, we decided to give our talented audience out there a stage to express themselves and share their success stories in our new weekly TALENT FEATURE. We hope that with time, these guest posts will become a source of inspiration to our colleagues wherever they are. If you are interested in participating, please upload your video to our VIDEOLOG and follow the rest of the submission process by reading the information here. 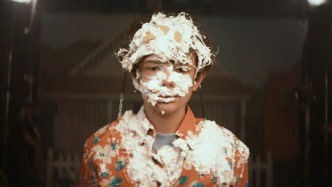 (Intro by Johnnie Behiri) My name is Matteo, and I’m an Italian filmmaker based in Southern California. In October 2013, I left Italy and moved to the USA. My first Visa was denied and I had to go back to Europe, so I moved to Dublin, Ireland, where I worked for a local video production company. In the meantime, I thought I had to shoot a short film. Don’t ask me why. It was one of my goals. After working years in corporate and music videos, I thought it was time to shoot a narrative short film. We shot the film in two days and then we submitted the film to several film festivals. We won in Ireland, Montenegro and USA. It was a great experience. I learned so much and I can’t wait to shoot my next one. I have a Youtube channel where I usually upload my travel videos. People always ask me how I ended up here in LA, working for a marketing agency as cinematographer. I would love to have an answer, but I don’t. I can say something, though: all the video I uploaded on Youtube that people love are personal projects. Whether it’s travel videos, camera tests… it doesn’t matter. Do what you love and what you feel. I realised that of all my videos online, there are only a couple that were paid jobs. All the rest are personal projects and things that I shot for fun, and people love those videos. So if I can give one advice to all young filmmakers out there is to shoot your story, doesn’t matter if it’s paid or not. If you feel it’s gonna be a great story, just shoot it. Cameras? They’re just a tool. I shot my most viewed video on the iPhone 6s Plus. What else? Enjoy life and keep your camera ready! :) Name? Matteo Bertoli Age? 27 Currently based in (country/town)? Laguna Hills, CA Language(s) spoken? Italian/English Occupation? Cinematographer How did you get started in our industry? I started as freelance camera operator and editor for a local TV station in my hometown Brescia, Italy. I was studying to become a DJ, but during the second year of college I came across video editing and I fell in love with the video world. From there, I started editing for a local TV station in my hometown. Then I started directing music videos, but it wasn’t enough. 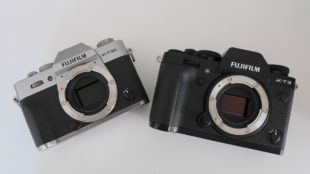 I wanted to be totally independent, so I did a lot of research and started playing with my 5D Mark II. I love to give my videos the film look. Current assignments? I currently work as cinematographer, colorist and editor for a marketing agency based in Irvine, OC, CA. I also keep working as freelance cinematographer and colorist for various projects. What types of productions do you mostly shoot? I usually shoot commercials and corporate videos, but I love to experiment with new things on short films and documentaries. I also love wedding films, and I try to achieve the best cinematic look as possible for all my projects. What is your dream assignment / job in our industry and what are you really passionate about? I’ve always dreamed of being a cinematographer for a major feature film. I also love commercials and TV ads. I would love to travel the world and shoot as many commercials and films as possible. In the work that you are presenting us, now that it is done, what would you have done differently throughout the production? I would love to have been able to plan the entire film better. I think the most important thing for a narrative film is pre-production, although people usually don’t really care about this step. I would love to be able to travel to locations a week in advance and see the places where I am going to film. I think the location is the most important thing for a cinematographer. If you have the right location, sometimes you won’t even need lights or art department. Everything is there. What current camera, lenses and sound equipment do you use? I am in love with BMPCC, Metabones Speedbooster and Sigma 18-35 f/1.8. I also have a Panasonic G7, but I love RED. I think it’s the best camera out there. Can’t wait to own my first RED camera. To be honest, cameras are just a tool. I saw tons of amazing videos shot on a 550D and a lot of garbage shot on Alexa. So… the camera doesn’t matter. If you’re a good cinematographer you will be fine even with an iPhone. 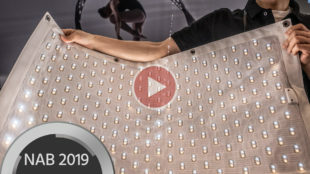 What’s is your favorite light equipment and why did you choose that kit over other solutions? I am a fan of natural light. I know sometimes it’s not enough, so I love using Kino Flo. I like fluorescent, tungsten too, but there is nothing as powerful as natural light. It’s simply amazing. I hate LEDs. Do you use drones/gimbals in your productions? If so, what is the most effective way you’ve found in deploying then? No, everything was on a shoulder rig. I think DJI did an amazing job with their gimbal but I am a fan of handheld footage. Of course, it depends on the job, but so far I am pretty happy with my bare hands. What editing systems do you use? I use Premiere Pro at work, but I also use FCPX. Again, it’s just a software, it doesn’t really matter. You can edit an amazing film on your phone. How much of your work do you shoot in Log and what is your preferred way of colour correcting? When I can, I love to shoot LOG because it gives me a lot of freedom in color grading. BMPCC is one of the best cameras out there for the price range because it allows you to shoot RAW 12bit. 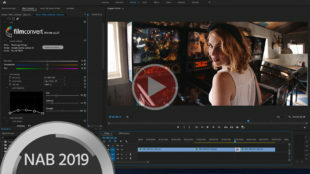 I grade everything in DaVinci Resolve. I think color grading is one of the most important steps in the film process. Why? Simply because you’re going to give the right look to your film. I am a great fan of color grading and am a colorist myself. How frequently are you traveling and do you have any tips when it comes to packing your gear? I just love traveling. I’m currently based in Southern California, but my dream is to travel around the world and film all the beauty out there. Our planet is amazing and it deserves to be filmed. I think traveling is a very important step for a filmmaker. If you don’t travel, your mind is going to be closed. You won’t see a lot of things. It’s the only thing that gives me inspiration. When I travel to a new city I usually bring my camera with me and I film everything. Why? Because my point of view is going to be completely different from someone who already lives in that city. The first impression is the most powerful. That’s the reason why I keep traveling and filming things. I just love to do that. If you want to learn more about Matteo creative’s work, head over to his homepage. Participate in our initiative: share your talent and creative work by following these steps. Redrock has released an update to its single op automated motion control system. 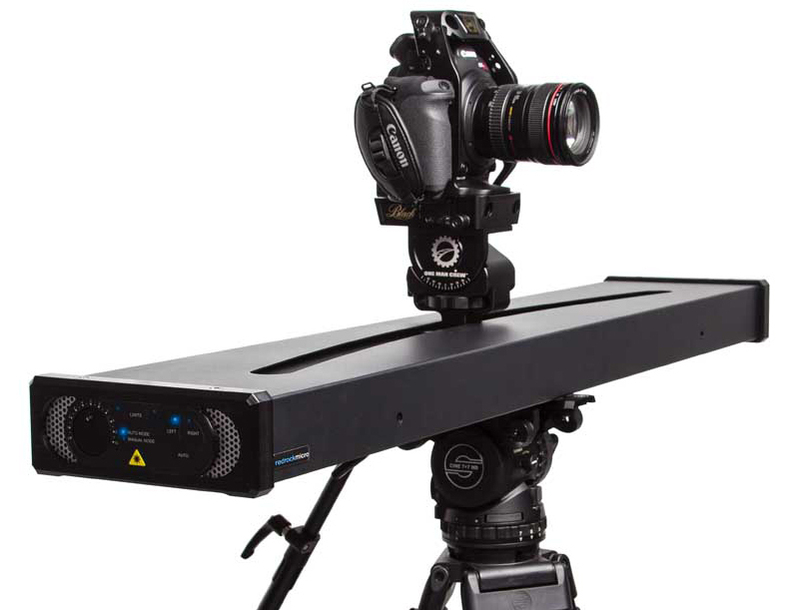 The One Man Crew Director curved slider gets a new app controller and much quieter in operation. 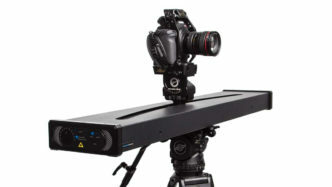 Motion control became a huge hit with the rise in popularity of timelapse photography just a few years ago. Ever since, retailers have looked to simplify systems making them more intuitive as well as adaption for realtime camera moves. 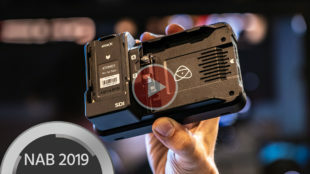 One Man Crew Director is Redrock’s answer to an easy-to-use single operator system; plug in your power, connect to your controller app and you’re good to go. 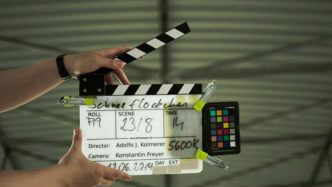 Redrock One Man Crew Director decreases the ambient and operator noise meaning greater use in realtime video work, as well as remaining compatible for timelapse photography. As an operator, I’d go out on a limb and state a curved camera track finds more use on set than a straight one. 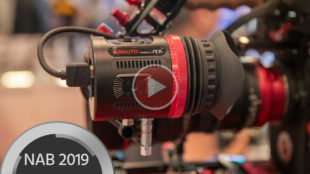 It’s therefore great to see that Redrock has maintained the curved design of the One Man Crew; you can use in both convex and concave form to wrap around your subject, or offer an out panning slide that can be effective for wide angle shots. The remote app looks intuitive and easy to use, setting your in and out points as well as triggering and looping moves. I love the laser point feature to signify start/end points; great feature as a lone shooter if you’re setting up shots and doubling up as a stand in for talent. The physical design remains relatively unchanged, One Man Crew will certainly not win any awards in aesthetics as a big rectangular box. But it remains functional and very fuss free, and that should always take priority. Pricing starts at $2,450 for a complete package, will update with purchase link shortly. Here’s the manufacturer’s page for it.